North Carolina's Outer Banks can be claimed as America's first beach and it's one of the most popular and well-known beach communities in North Carolina. It's the area that was first in flight and home to the lost colony. It's one of North Carolina's most historic places and it's probably what most people think of when they think of visiting the North Carolina coast. We have a gorgeous coastline, but for those wanting to dig deeper into the first beach discovered in America, writer Karen Dawkins, covered the area for me and my site because my schedule has always conflicted with the media trips. It is the only part of the North Carolina that I do not have a lot of first-hand experience. I have, however, stayed in Manteo many years ago now and have ridden on the coast from Kitty Hawk to Duck. To be honest, my image of the Outer Banks was rather “Nights in Rodanthe” — lots of sand dunes and remoteness, without much more. I know it’s a popular vacation destination, but I never considered it for my active family. I was so wrong! 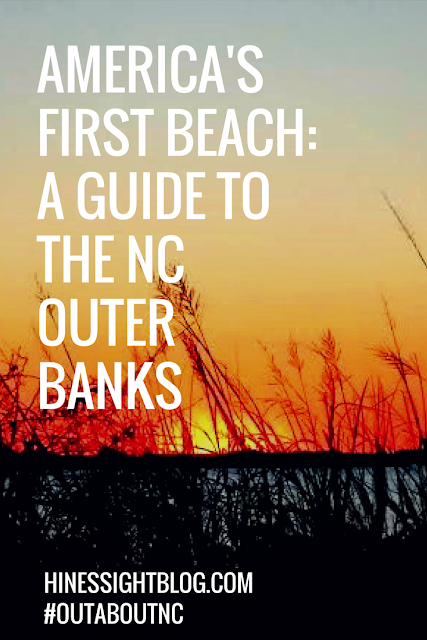 If you’re like me, unaware of all that the Outer Banks has to offer, this article is for you. If you’re an Outer Banks expert, I think I might still surprise you with some things to do. 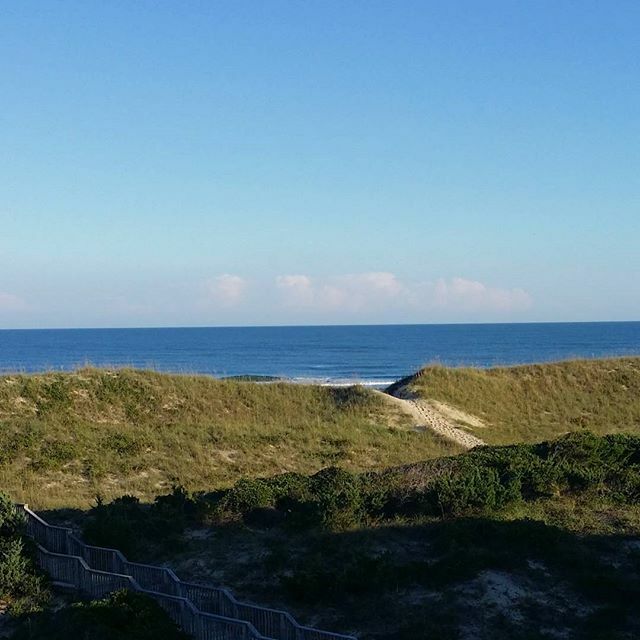 The Outer Banks, a series of barrier islands on the northeastern edge of North Carolina, truly has it all. The area has seen 500 years of history, from early colonial settlers to pirates and WWII. Atlantic waves make for great surfing, and the quieter waters of the sound side offer other water sports options. 1. Artistic pursuits. Bring out your inner artist with a class at Studio 12, or shop one of the many independent art shops along the Outer Banks. Studio 12 offers to paint your own ceramics and glass making classes, as well as art for sale. Sun and sea inspire works in soothing blues and greens and bright designs reminiscent of the sun’s rays dancing on the waves. Pick up a piece of jewelry, wood pieces, painting or ceramics to remember your vacation. 2. Active adventures. Try your hand at kiteboarding, SUP (stand up paddleboarding), surfing and kayaking. REAL Watersports, near Rodanthe, offers classes for beginners and rental equipment packages for those who need it. Other active adventures along the Outer Banks include fishing charters, off-roading in 4X4 vehicles (with permit), and hiking and biking the many trails here. Families traveling with younger kids might appreciate the offerings in Nags Head — especially with all the indoor opportunities to escape a rainy day! 3. Historic tours. Before the Coast Guard, Life-Saving Stations along the Outer Banks rescued sailors who wrecked. The Chicamacomico Life-Saving Station, in Rodanthe — an easy drive from north or south — tells the story of these heroes. Chicamocomico has a well-deserved 5-star TripAdvisor rating — it was a highlight of my trip. 4. Nature tours. The Pea Island National Wildlife Refuge, just north of Rodanthe, gives visitors an up-close look at birds, turtles and other animals indigenous to the area. During turtle nesting season, guests can cross the dunes to see where the nests are and learn about their plight for survival. The beach here is great for shelling, too, especially after storms. 5. Lighthouse tours. Four active lighthouses still warn boaters of the dangers along the shores of the Outer Banks. The Currituck Beach Lighthouse in Corolla is the northernmost lighthouse on the Outer Banks. Bodie Island Lighthouse is located at the north end of the Oregon Inlet. Visitors can climb it, weather permitting, between April and October. 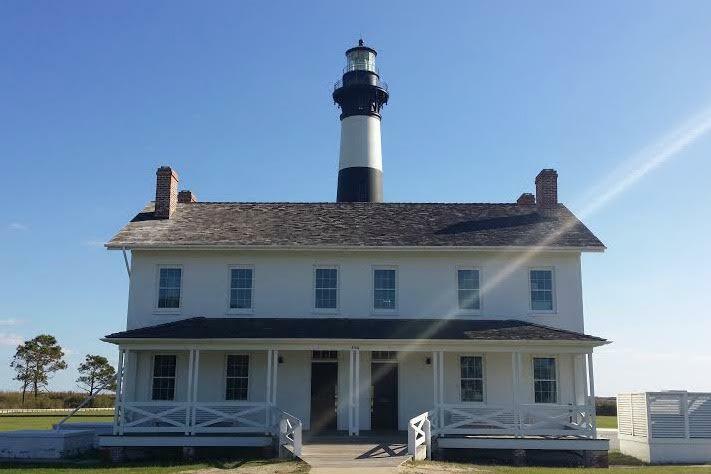 The Cape Hatteras Lighthouse in Buxton is the most well-known of the Outer Banks lighthouses. It is open to the public, weather permitting, from April to Columbus Day. Roanoke Marshes Lighthouse in Manteo is easily accessible and has a maritime history museum onsite. The Outer Banks offers a variety of lodging choices, not just beach houses. Luxury inns, such as the Inn on Pamlico Sound in Buxton and the Sanderling Resort in Duck, cater to guests who want a high-end experience. More traditional hotel options can be found at the Breakwater Inn in Hatteras or at chain hotels closer to Nags Head. 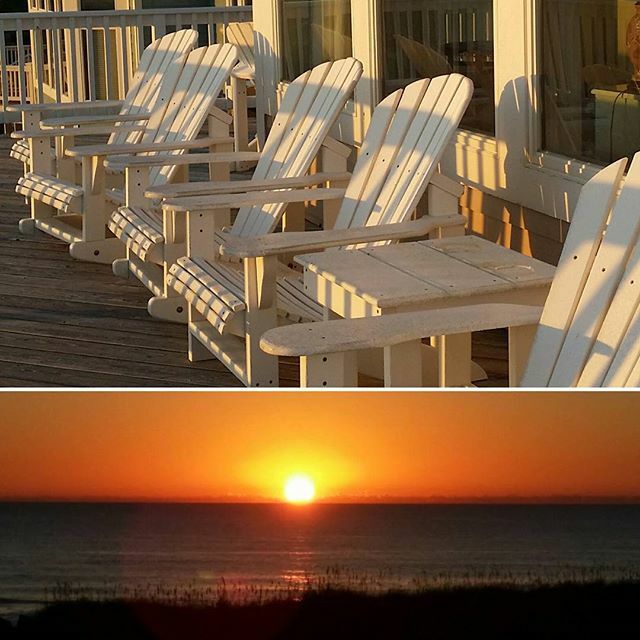 Throughout the Outer Banks, Bed and Breakfast lodging is available. Of course, beach houses — whether high-end mega-houses with all the bells and whistles or small cottages providing the necessary basics — are available from Corolla to Ocracoke. 1. The type of “home” you want — standalone vacation home or hotel with daily maid service. 2. The length of travel — most beach houses expect a full week rental. 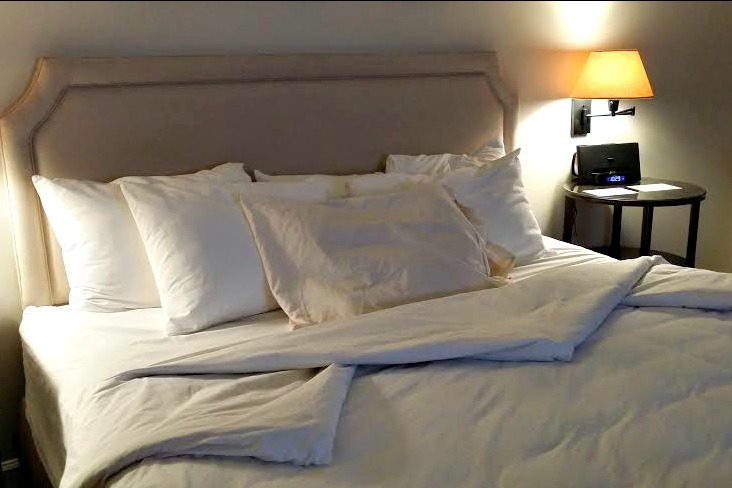 Other lodging is available for shorter stays. 3. The activities you want to do — stay nearby! Highway 12 is the main thoroughfare from north to south. If you choose lodging far from the activities you want, you’ll spend a lot of time in traffic! Karen learns how the "apple uglie" is made. 1. 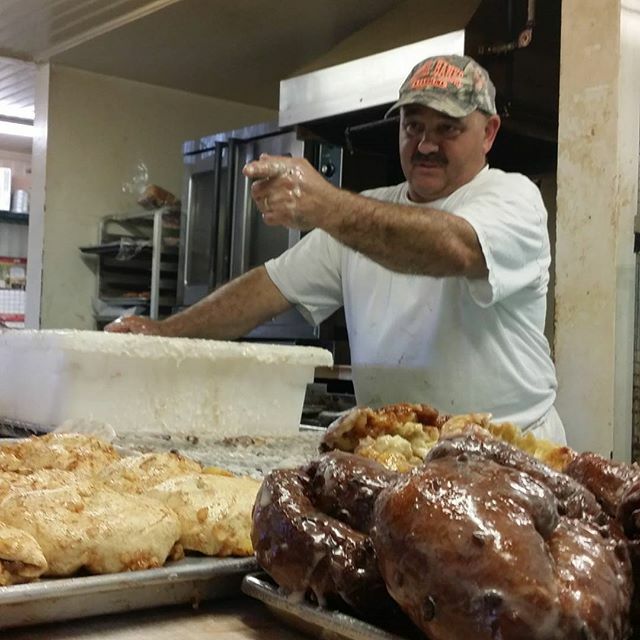 Orange Blossom Bakery in Buxton, open mornings, is home to the world famous “apple uglie,” an enormous apple fritter easily shared by 3 or 4, is a great place to get breakfast and cup of coffee. 2. Diamond Shoals, also in Buxton, is a local restaurant with a great reputation. The servers are knowledgeable about each dish and make recommendations you can trust. Expect a wait, especially for breakfast and dinner. 3. The chef at Breakwater Restaurant on the sound side of Hatteras, with great sunset views, will cook your fresh-caught seafood if you bring it in. Dessert here is incredible — we debated the whole trip whether the peanut butter-chocolate pie or the key lime pie was best. You can’t go wrong! 4. All along the Outer Banks, specialty restaurants offer guests a memorable dining experience. Two standouts are the Cafe Pamlico in Buxton and Kimball’s Kitchen in Duck. Cafe Pamlico grows much of its produce on site and creates a menu to feature it. With indoor and outdoor dining, the restaurant creates an intimate, cozy atmosphere. Kimball’s Kitchen has a great menu. Insider tip: Get the Kimball’s Kitchen brussels sprouts, even if you don’t normally like them. This is the most popular dish on the menu. You know they’re good when you tell your husband about them two days later! Peak season at the Outer Banks runs from June through September. April, May, and October are also popular months, but slightly less expensive. Visitors to the Outer Banks between November and March will find the greatest bargains — but many restaurants and activities are closed during this time. Choose lodging where you want to be. Since Highway 12 is a two-lane road through much of the Outer Banks, traffic can get heavy. Consider Manteo if you’re not a “beach bum.” While Roanoke Island and Manteo do not have the beaches, they are an easy drive away. Manteo is a larger town, so dining and shopping options are more plentiful and convenient. The area is also home to many museums, theatrical performances, and festivals. No matter where you decide to stay in the Outer Banks, wake up early one day to catch a sunrise. Get dinner at restaurant overlooking the sound to enjoy the sunset. Walk the beach and gather seashells. “Nights in Rodanthe” captured it well, but seeing the nature in real life is so much better. Visit The Outer Banks Visitor's Website to get started. About the author: Karen Dawkins is the creator and editor of Family Travels on a Budget, a site she started in 2012 to show families that careful planning and budgeting can make any vacation dream come true. She has also been featured in print and writes for a number of websites. She and her family reside in Clayton, a suburb of Raleigh, “close to everywhere on the east coast!” You can connect with her on Twitter | Instagram | Pinterest | Facebook. 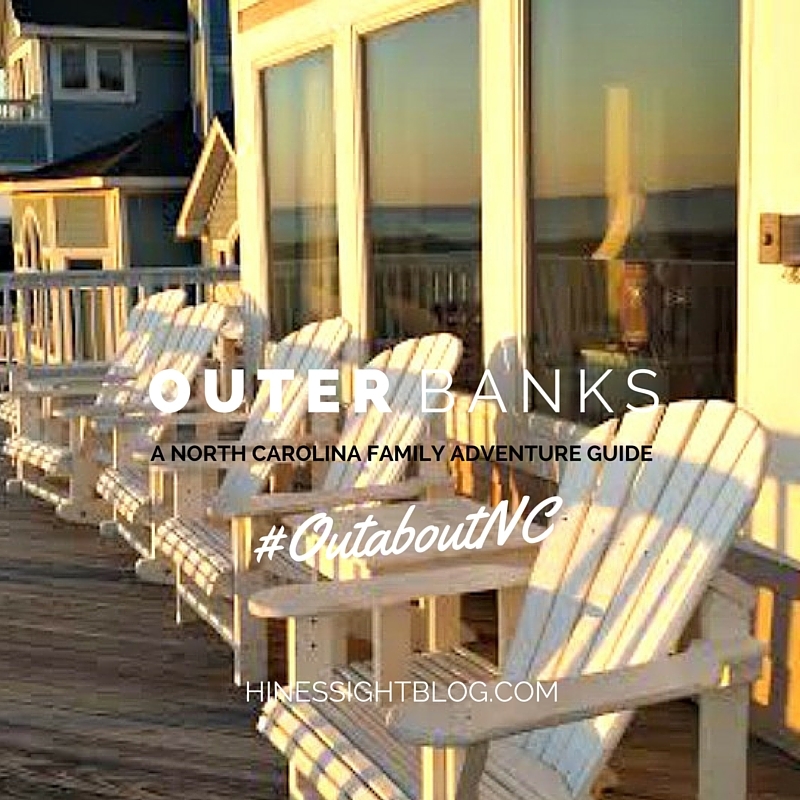 Also check out the post on Family Travels on a Budget that highlights the different beach communities on North Carolina's Outer Banks. FTC Disclosure: This trip was hosted for the media. All expenses to see the island was covered for press. Be sure to check the #OutaboutNC community on Instagram to see places that locals also recommend.